I have had this bread box for a couple of years. Although I love the Morning Glories, it has some pretty rough rust spots in places and is a little too shabby for my kitchen. So I brought out the big guns and went to work. 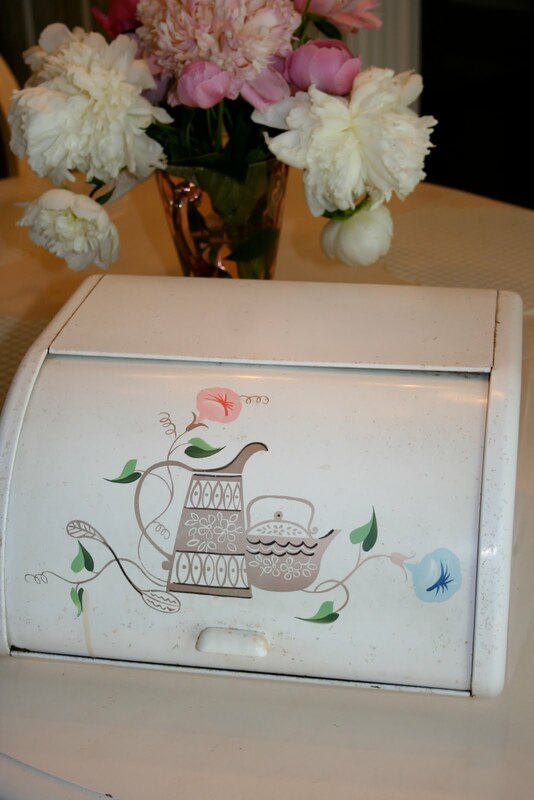 A few coats later, the addition of some strategically placed wear-and-tear spots, some vintage decals and I have exactly the bread box that I had been envisioning. If you google vintage decals you'll find some really neat sites. I've got a lot of paint left over. 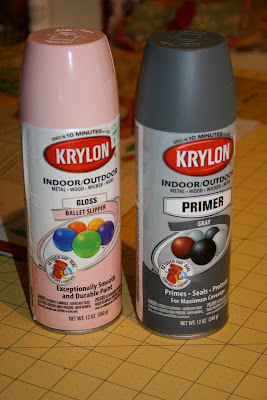 I'm wondering what else I can paint pink today? Have a great Thursday! Love your bread box transformation! I especially love the 'worn' spots. Isn't painting metal things fun? I painted a few things last summer & like you, found myself on the look-out for what else I could paint next! :o) Have fun! turned out Beautiful!!!! oh i love it! OMGosh...it's awesome! I loved it in it's original state, but your makeover is even better. What a wonderful item to own & display...lucky you! The thing I love about this makeover is that it still looks vintage, but a better vintage. It is adorable! Oh your little bread box is so adorable!! Oh, I just love that!! Well done! Renee, this is beautiful!!! You did an amazing job!!! Love it...isn't that spray paint great and fun???!!! You did the sweetest job on the bread box. You are so clever! Very very cute!